BATON ROUGE, La. (AP) — An Oklahoma deputy acquitted in a 2016 fatal shooting of an unarmed black man is no longer scheduled to speak at a homicide investigators conference in Baton Rouge, Louisiana. 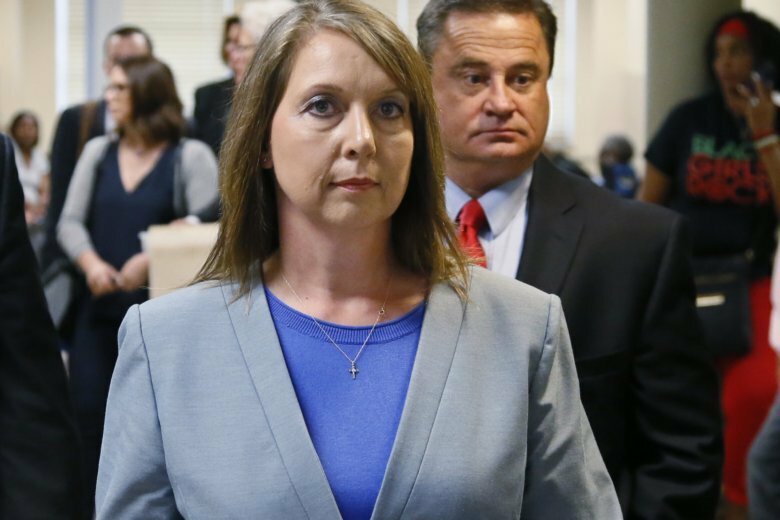 News outlets report the Southeastern Homicide Investigators Association rescinded Roger County Sheriff’s Deputy Betty Shelby’s invitation on Sunday following pressure from civil rights leaders. Shelby is a former Tulsa police officer charged and acquitted of manslaughter in the killing of Terence Crutcher. She later resigned. A Sunday letter by the conference says Shelby’s presentation would teach officers about the shooting’s aftermath, but its cancellation supports the community’s relationship with law enforcement.